Finely chop onion and garlic. Cut mozzarella into walnut-sized pieces. Fry gnocchi in a pan with some butter for approx. 8 – 10 min. For the tomato sauce, heat up some vegetable oil in a saucepan and fry onion and garlic until transparent. Add oregano and tomatoes. Let simmer for 10 – 12 min. Season with sugar, salt, and pepper. 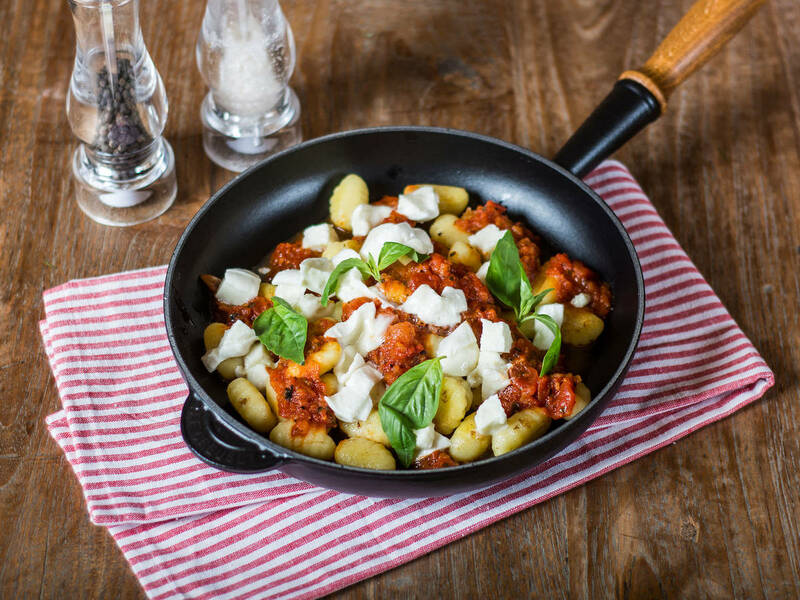 Before serving, top gnocchi with tomato sauce and buffalo mozzarella. Garnish with fresh basil leaves. Enjoy!